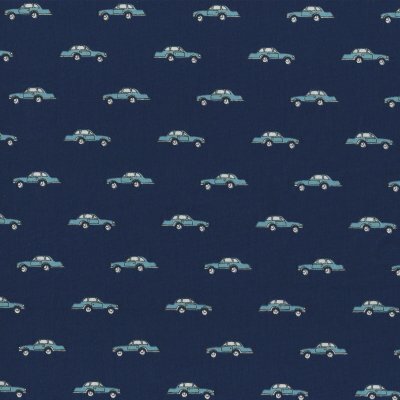 Fabulous boys fabric with a retro car design printed on a 100% cotton sateen giving the top side a 'satin' feel but made with cotton instead of silk. 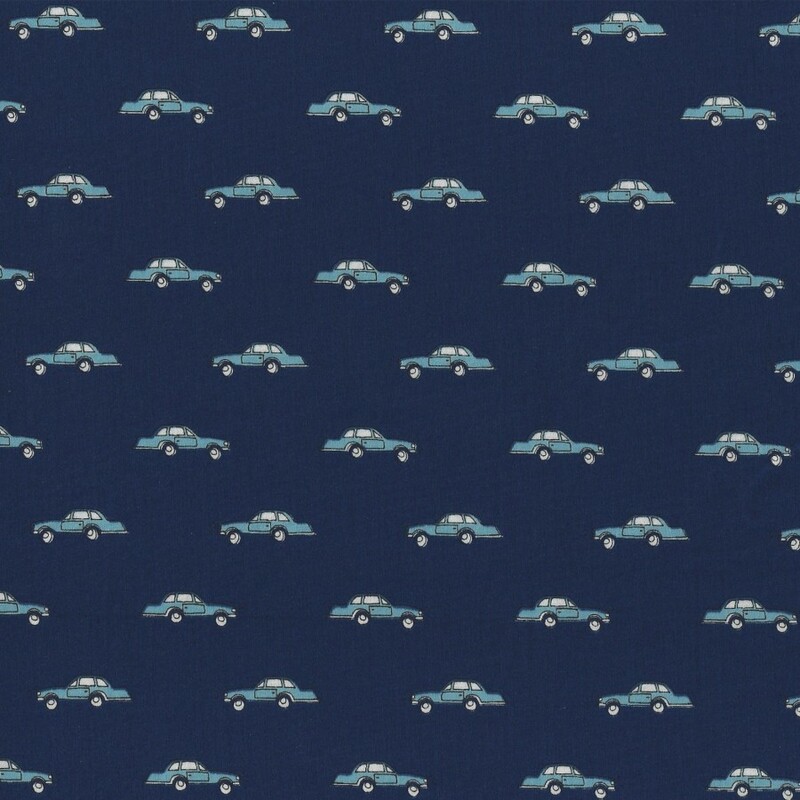 Colour Light blue on navy. 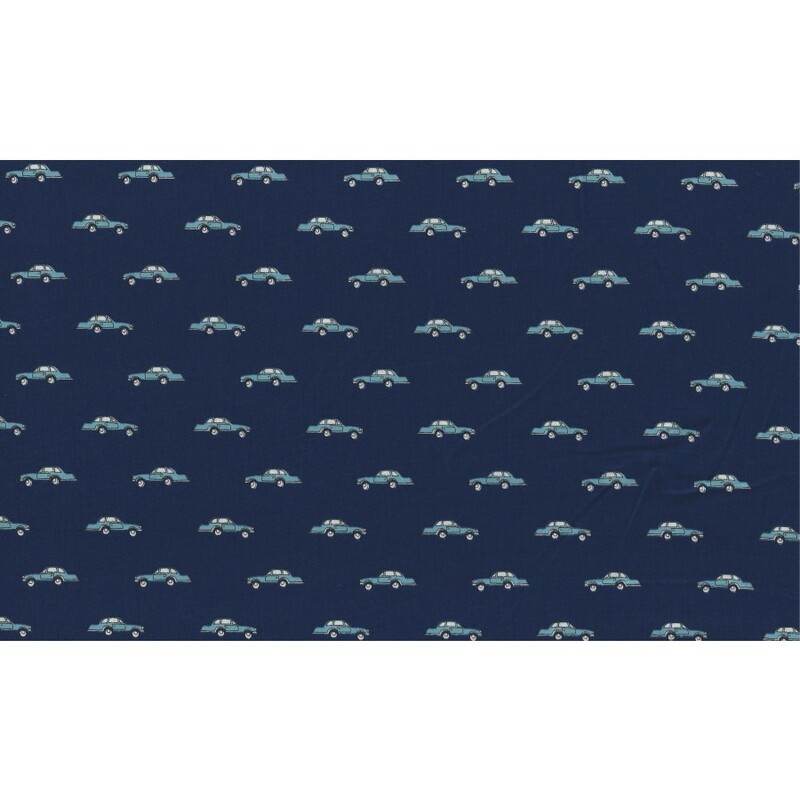 Motif Size Cars 2.5cm long x Each 1cm tall. More info Click on main image for fabric views.